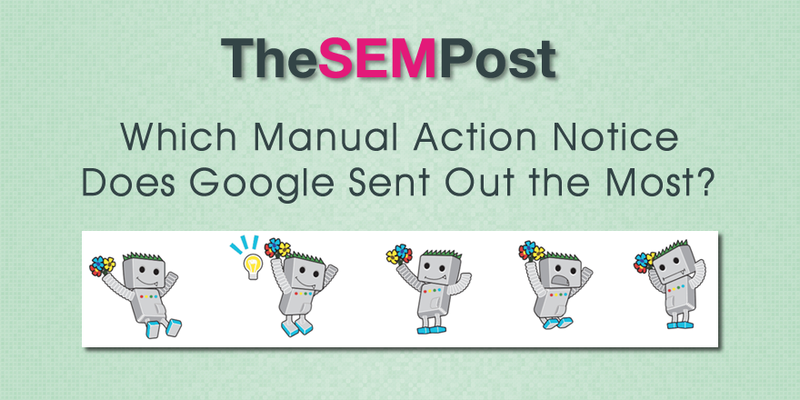 You are here: Home / Google / Which Manual Action Notice Does Google Send the Most? Google has been sending out a wide variety of manual actions to webmasters for several years, ranging from invalid links to thin content warnings. But when it comes down to which manual action notice Google sends out to webmasters the most, the answer is somewhat surprising. Because the largest number of manual actions Google sends out are related to website hacks. At SMX West earlier this month, Juan Felipe Rincón from the Manual Actions team at Google talked in great depth about manual actions and said that the largest volume of manual actions are for hacked websites, or for content not placed there by the site owner. In some respects, this isn’t surprising. There are so many sites being hacked thanks to exploits being discovered in popular CMS like WordPress and related plugins, combined with site owners who aren’t that diligent about updating their CMS and plugins… and this is even with Google emailing site owners to remind them to upgrade outdated and vulnerable versions of CMS like WordPress and Joomla. But perhaps other types of spam related manual actions aren’t quite as prevalent as they once were or algorithms are evolving to be less reliant on manual actions to clean up missed spam. While we have seen some new manual actions added recently, like the confusingly named Social Engineering manual action, it is still kind of surprising that spam manual actions that were caused by the webmaster aren’t at the top of the list.